HOUSING – exterior and doors are constructed of ¼” hot rolled steel plate sourced through American producers. Features laser cut “tab & slot” technology for consistent fit at weldment. final build up is then covered with ½” plywood. 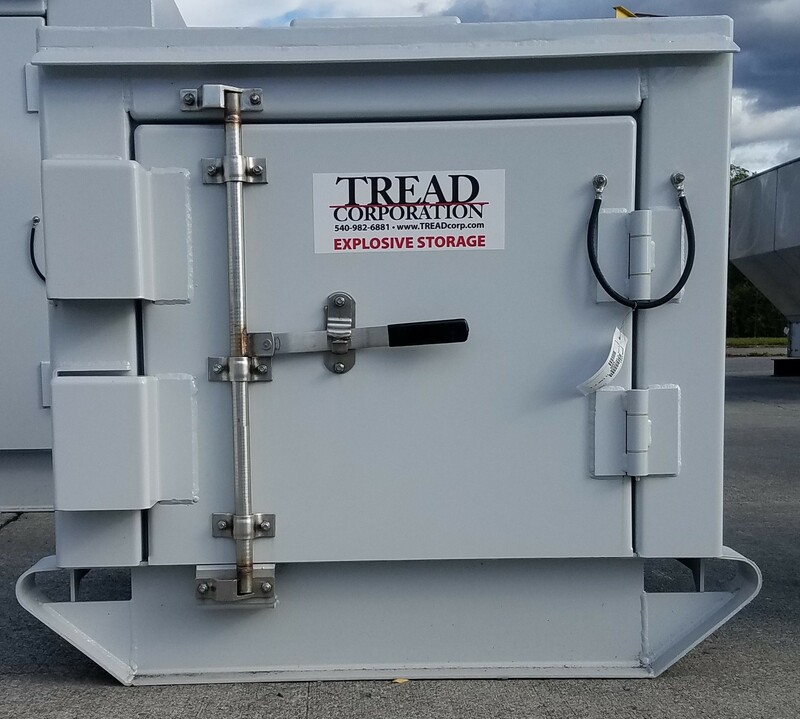 The hinges are welded to the door and exterior of the magazine incompliance with the ATF directive. the packing of explosives against the wall and obstructing ventilation. welded on the top for the attachment of chains or cables. 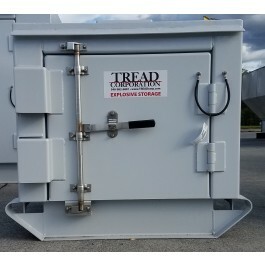 theft-resistant and constructed to prevent direct contact with the ground.